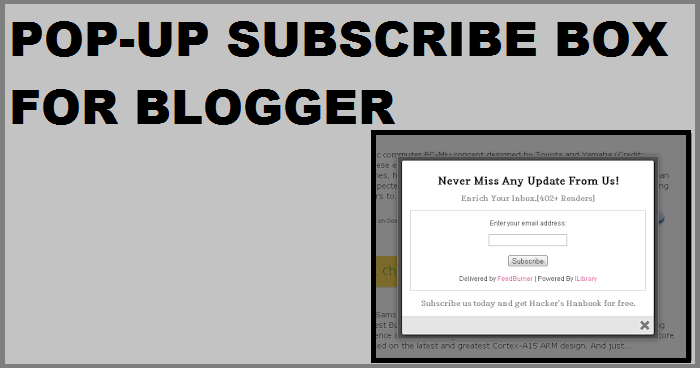 Pop-up subscriber box for blogger to get high users subscription , this pop-up box widget open in blog and attract your users readers to subscribe your blog so you can get much and more readers traffic every day into your blog. this pop-up use other email and send them your new article message whenever you post in blog. Pop-up Subscriber box for blogger increase blog traffic step by step method.